MYNTA - "A fusion between swedish ice and indian spice" - Official homepage. 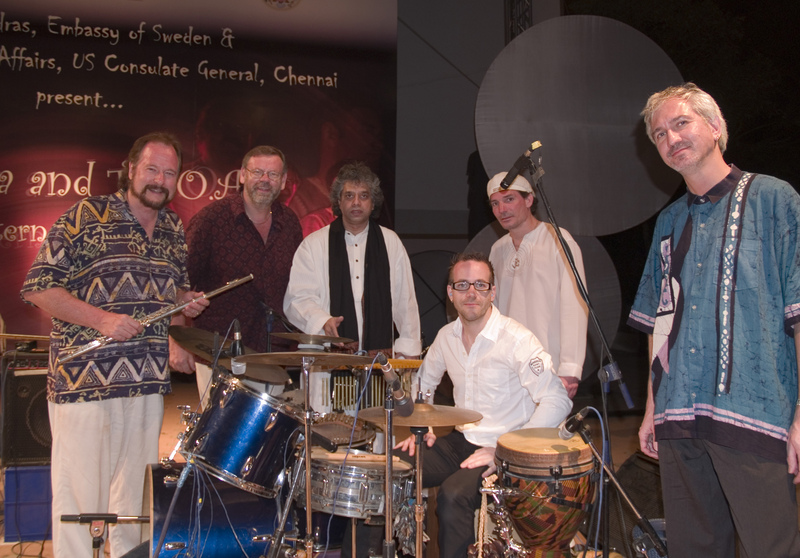 MYNTA from Sweden/India features one of the worlds finest tablaplayers, FAZAL QURESHI - brother of Zakir Hussain and son of the legendary Ustad Alla Rakha. MYNTA brings you a colorful mix of Indian vocal, African and Latin-American rhythms, Arabic sounds, Swedish Folkmusic and Cuban violin, together with Indian traditional instruments as tabla, kanjira, ghatam and tampura. 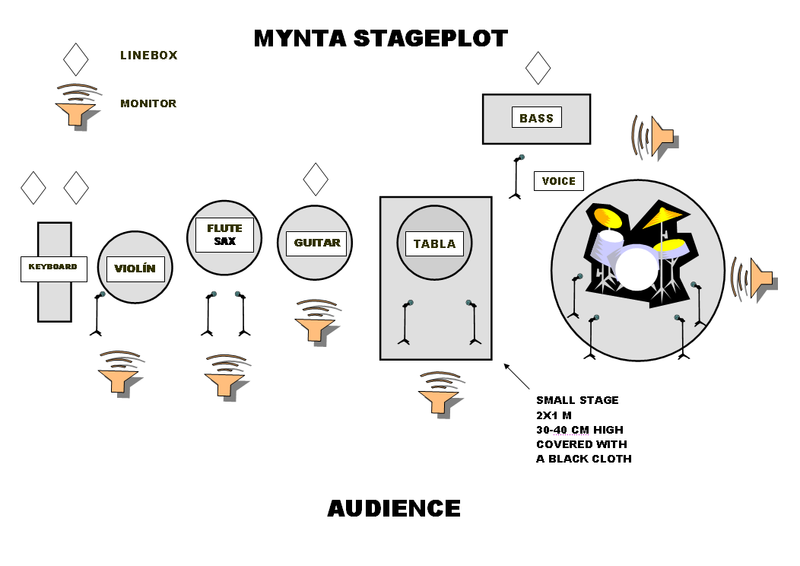 MYNTA has performed at several major festivals as WOMAD (UK), WOMUFE and KALAKA FOLK FESTIVAL (Hungary), SFINKS (Belgium), ORIENT -95 (Estonia), ROSKILDE FESTIVAL, AARHUS JAZZ-FESTIVAL (Denmark), VERDEN I NORDEN-OSLO, VOSSA JAZZ (Norway), APRIL JAZZ ESPOO, ALANDIA JAZZ (Finland), HULTSFREDS-FESTIVALEN, KRISTIANSTAD JAZZ FESTIVAL, STOCKHOLM WATER FESTIVAL, ARVIKAFESTIVALEN (Sweden), as well as concerts in DUBAI (UAE), INDIA and CHINA (Beijing Jazz Festival -98). 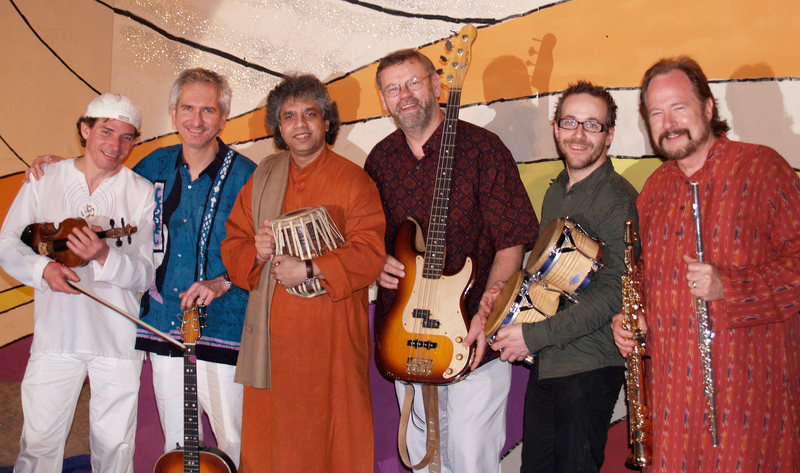 Listen to the new CD "Meetings in India" released in March 2009.
besök, varav unika, och 0 sidvisningar sedan 2006-02-26.